Photo by: Ryan Wyngarden, the man convicted of murdering his sister and brother in-law was given two life sentences in an Ottawa County courtroom on Monday. Ryan Wyngarden, the man convicted of murdering his sister and brother in-law was given two life sentences in an Ottawa County courtroom. Three courts have rejected the effort, including the state Supreme Court this week. 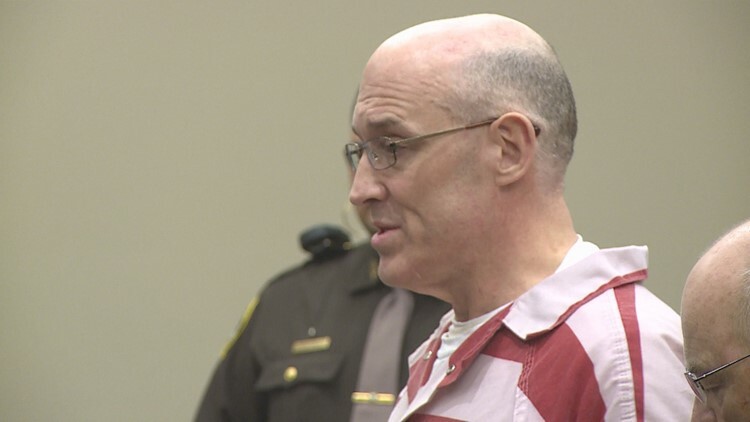 GRAND HAVEN, Mich. - The Michigan Supreme Court has rejected an attempt to reopen the conviction of a western Michigan man who was charged with killing his sister and brother-in-law 26 years after their deaths. Ryan Wyngarden had already exhausted his automatic appeal after his murder conviction and life sentence in 2014. But he returned with a second appeal on his own, arguing that his rights were violated through mistakes during his Ottawa County trial. Rick Brink and Gail Brink were killed at their Park Township home, near Holland, in 1987. Police say Wyngarden was jealous of the couple and wanted to keep secret sexual encounters he and his sister had as teenagers. Wyngarden's wife was a crucial witness for prosecutors.